As I'm sure you all know by now, I'm a makeup junkie. My collection of products is big enough to rival a small Boots store and I can't get enough of trying new products! As much as I love my high end goodies from the likes of NARS, MARC or Charlotte Tilbury, I also love finding a bargain from my favourite drugstore brands. With this being said, I've decided to start a little 'top 10 under £10' series which will showcase 10 of my fave products you can pick up for £10 or less. I'm going to start with makeup and will probably do skin care, hair care and nails too! First up are the bases and two of my all time favourites are from Bourjois, my top drugstore beauty brand. I love both their Healthy Mix foundaion (£9.99 and 123 Perfect CC Cream (£9.99) for a flawless look. I find both of these products have great coverage without feeling too heavy and they make my skin look radiant. 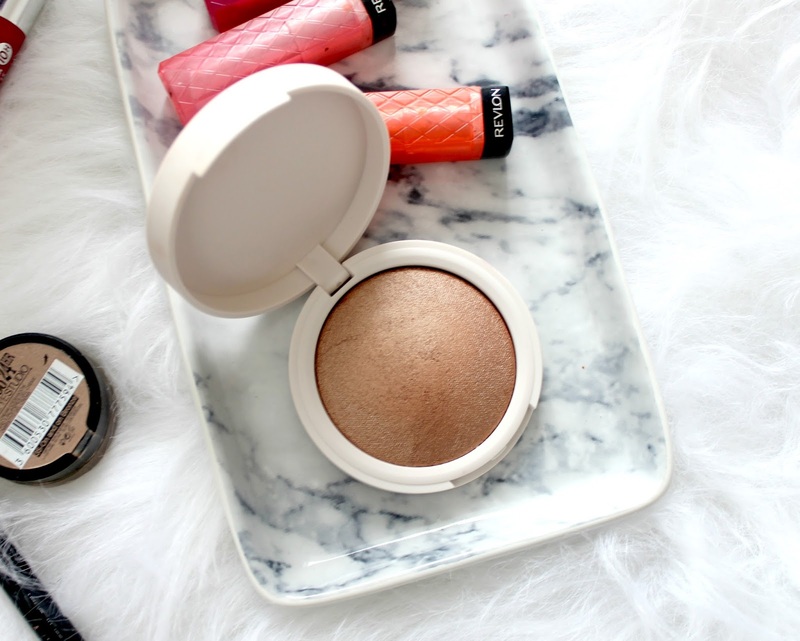 Another Bourjois face product I love is their Bronzing Powder & Highlighter Duo* (£7.99). This one of their newer products but it's basically the same as their original 'chocolate' bronzer with the addition of a highlighter. I love this because it gives a natural bronzed look, smells like chocolate (always a bonus!) and combined with the highlight it gives my skin a lovely candlelit glow. I'm a little bit obsessed with highlighters and glowy skin so another of my high street favourites are the Topshop powder highlighters. I love the cute black and white packaging despite the fact I've got two of them now and my fave is called 'Sunbeam', a lovely gold tone. It's a very finely milled powder and haves a lovely metallic finish without looking glittery. When it comes to eye shadow I do find high end is better and stick with my palettes from Too Faced, Urban Decay or MAC. However, one eye shadow I do like from the high street is the Maybelline Color Tattoo in the shade 'And On Bronze' - it can be used as a base for other shades or on its own if you just want a quick sweep of colour across the lid. I love the taupe shade and the metallic finish is really pretty! I must pick up a few more of these! Two items I always buy from the drugstore are liquid liner and mascara. I personally think the cheaper ones are just as good, if not better, than high end versions and they're just two of those products I don't see the point in spending a lot of money on. My favourite liquid liner is the Collection Extreme 24 Hour Felt Tip Liner (£2.99) as it's SO easy to use, really pigmented and long lasting. It also costs less than a fiver - who can complain at that?! My favourite mascara is the Bourjois One Seconde Volume mascara (£9.99) and I've gone through a couple of these now as I just love it so much. It gives my lashes length, curl and thickness - everything I want from my mascara. Another lash product I'd highly recommend are the Vintage Cosmetic Company's eyelash curlers. I've got the rose gold ones (of course) and I love them - they make my lashes look 10x longer than they do before using them. Finally, my favourite makeup item - the lip products! My all time favourite high street lip product would have to be the Revlon Lip Butters (£7.99) as they come in a great range of bold colours, they're pigmented and really hydrating on the lips. I must have 6 or 7 of them now and I'd still buy more - that's how much I love them. Another lip product I love from the drugstore are the Bourjois Color Boost Lip Crayons* (£7.99). Similar to the Lip Butters, they're really hydrating on the lips and have a lovely glossy finish. They aren't quite as pigmented as the Lip Butters but that means they're perfect for every day wear when I don't want something too bold. 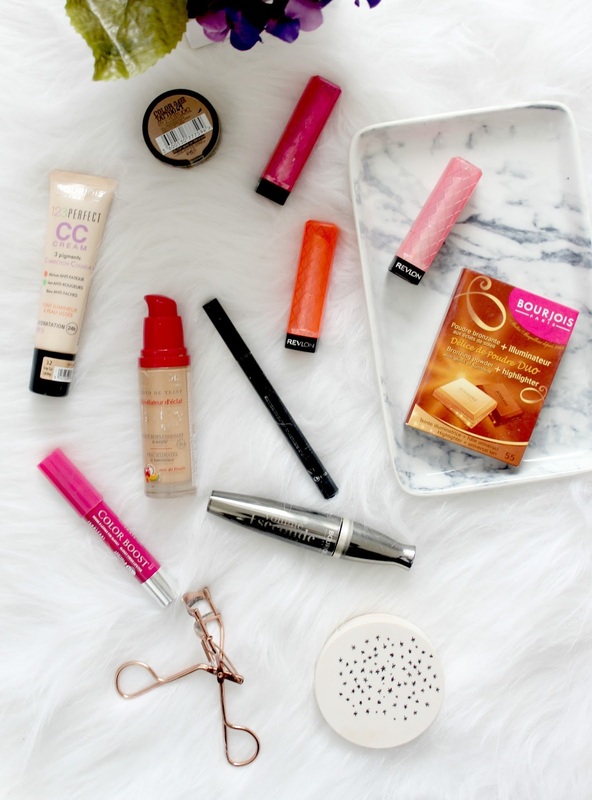 So there we have it, my top 10 makeup items that all cost less than £10! Boots currently have a 3 for 2 offer on Bourjois products so now might be a good time to grab some of these things if you fancy giving them a try. Have you tried any of these products? Let me know your favourites! Great post Kayleigh i love bargain buys, I also keep meaning to film this - The Revlon lip butters are still one of my favourite lip products! I also love my Vintage Cosmetic Company lash curlers but i haven't seen the rose gold ones think i may have to make a purchase! Bourjois is definitely one of my favourite drugstore brands! I'm completely obsessed with the Bourjois CC Cream, it's such a beautiful base! I've been wanting to try a Colour Tattoo for a long time but I was never sure which one to get but now I've read this I'm going to have to get 'And On Bronze' so gorgeous!! Thank you! Really good post! I agree Bourjois are definitely one of my favourite drug store brands. I also really love the Revlon lip butters for everyday-they're great. Really want to try the Collection liners and some of the other products. Such a nice post. I love the Revlon Lip Butters, they're amazing! Highly recommend you try the Boots SEVENTEEN Doll’d Up Mascara! I love the colour tattoo's! They are amazing. The Revlon Lip Butters are definitely something I need to try, they sound so lovely! I adore Bourjois as a brand, they do some of my favourite high street makeup! You've mentioned so many amazing products and it's great to see that they are all so affordable too! I really like the Maybelline lipsticks! I am a massive fan of the Maybelline Colour Tattoos they are such a good product for a reasonable price. 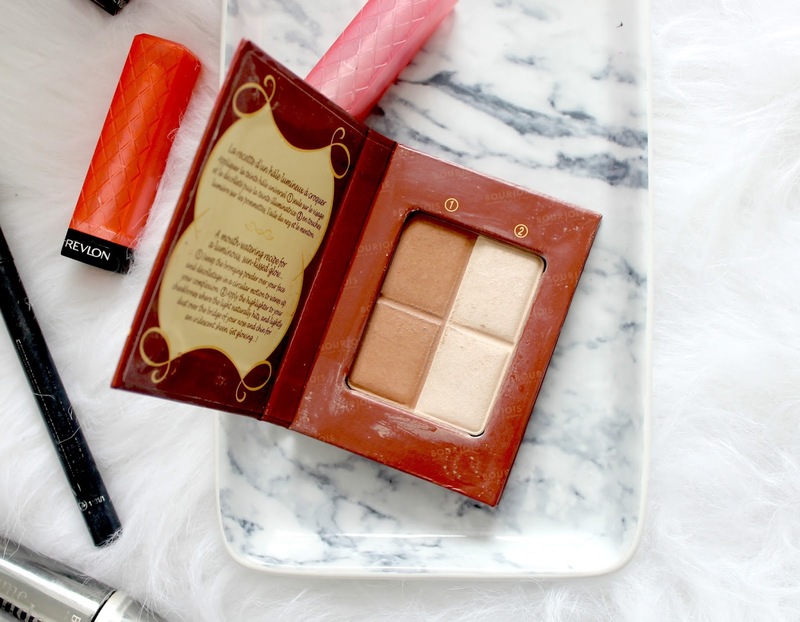 I really like the look of the Bourjois Duo Bronzer and Highlighter kit. I may have to pop into Boots and give it a go. 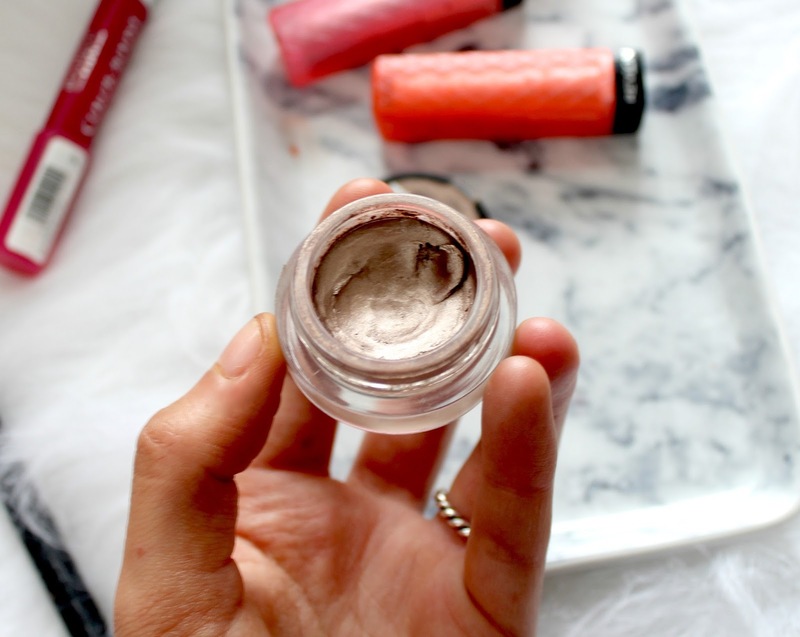 The Bourjois CC cream is something I have been putting off trying for too long! Great products. All in all I have tried not all of them so need to do this) Thanks for sharing! Good selection of affordable products. Sometimes, the most expensives are not the best ones. I must admit that when the Revlon Lip Butters first launched, I went a bit...ok a lot crazy! 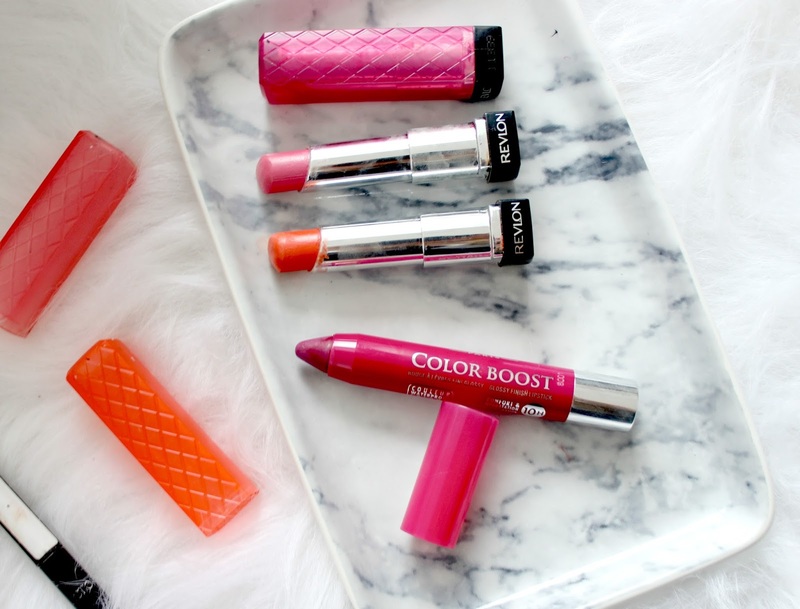 I love them for a touch of color and much needed moisture :) So jealous that Bourjois is so readily available to you, seeing it so much on the blogosphere has me wanting one of everything! The maybelline color tattoos are a must have. Love all of these products! They're such good value for money. Need to try The Vintage Cosmetic Company's rose gold curlers though! I love the Bourjois bronzer, great one! 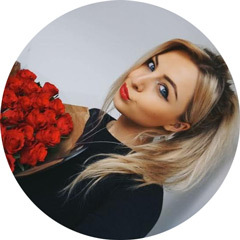 Lovely post, you are amazing! Ooh the Topshop highlighter looks beautiful. I love the Topshop highlighter! the packaging is so cute! Healthy mix foundation is amazing value for the price! It feels so nice on skin and has pretty decent coverage. I was on a hunt for a good drugstore highlighter and I will check that one from Top shop. This is a really great post! I love Bourjois' Delice de Poudre Bronzing Powder, and it smells amazing too. I am yet to try the Revlon Lip Butters, but I still really want to. Such a good selection !!! lot of new thing to have a look and play with know guys. This has definitely given me an excuse for shopping!